April and May can be some of the busiest months in a parish! The celebration of the glorious Resurrection of Christ leads to a flurry of holy activity. One of the greatest upcoming celebrations for our parish is the conferral of the Holy Sacrament of Confirmation. This Wednesday, April 18 at 7:00pm, we onceagain welcome our Bishop, the Most Rev. Robert E. Guglielmone, for Confirmation as almost fifty of our young men and women will be sealed with the Gift of the Holy Spirit. During Confirmation, God the Holy Spirit comes upon us, just as at Pentecost when He descended upon Mary and the Apostles fifty days after Easter (see Acts 2:1–4). Please pray for each of our youth who will receive the fullness of the Holy Spirit. Did you receive the Sacrament of Confirmation growing up? Sometimes, for various reasons, some adults have "missed" receiving this important Sacrament. We can fix that! Contact Mary Ellen Jackson or me at the office. 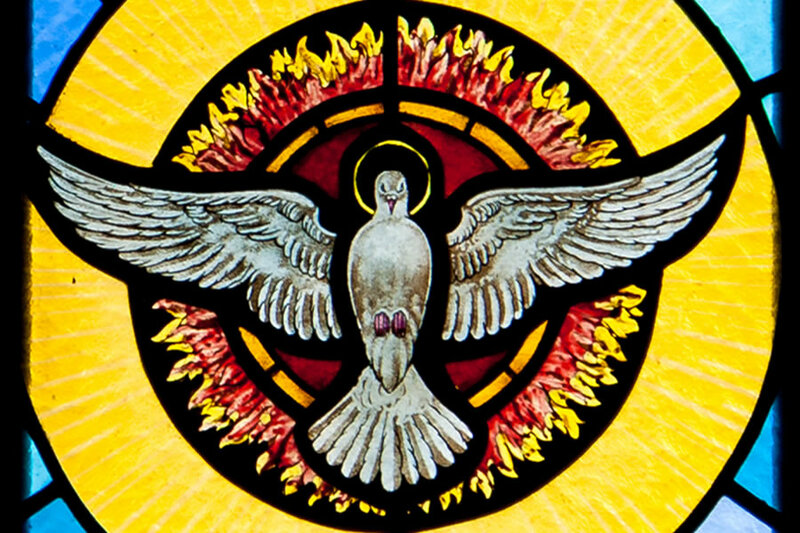 As a reminder, and since we are now preparing to celebrate Pentecost on May 20, the seven gifts of the Holy Spirit are Wisdom, Understanding, Counsel, Fortitude (Courage), Knowledge, Piety, and Fear of the Lord (Wonder & Awe). All are supernatural graces for the soul. These produce twelve fruits of the Holy Spirit: Charity, Joy, Peace, Patience, Kindness, Goodness, Generosity, Gentleness, Faithfulness, Modesty, Self-control, and Chastity – human qualities that can be activated and perfected by the Holy Spirit. Finally, below you will find a special note from our parishioner, Patrick Judd. Through much prayer, Patrick has discerned not to continue with seminary formation. We all have prayed very much and supported Patrick through his discernment. Remember that, especially for those in college-level formation, to discern even that they do not have a calling means something went right – not wrong. I pray that many young men will have the courage Patrick had to give the sacred priesthood of Jesus Christ serious discernment. And as always, let us pray for each other! I want to inform you that I will be leaving seminary come May after the completion of this semester. My decision to leave is the result of an incredible time of prayer and discernment as the Lord has revealed that he wants me to pursue a different path. I am at great peace with my decision, and I would love for you, as well, to join me in gratitude for the seminary process allowing me to make a free and informed decision. Thank you for your countless prayers and support over these last four years. St. Mary's will always be my home. I only ask for your further prayers as I transition from one stage of life to the next.